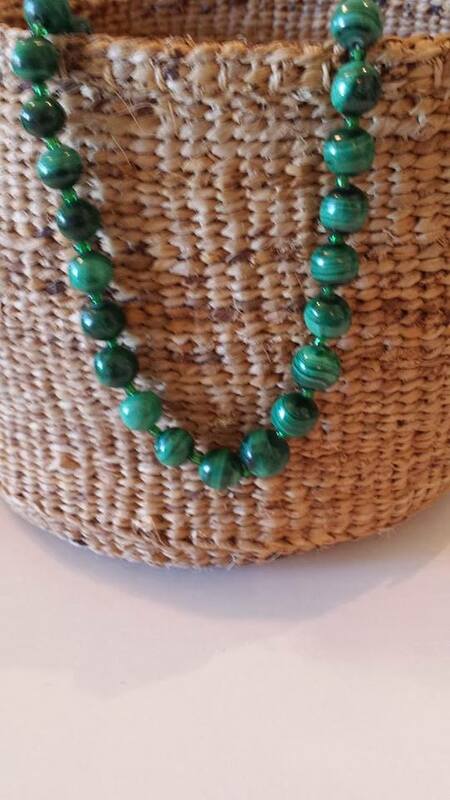 This is a graduated malachite bead necklace with small green glass seed beads between each malachite stone bead. 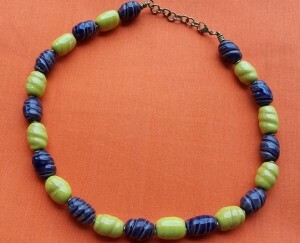 It was handmade in Kenya. It has an 11” drop and spread out it measures 22”. 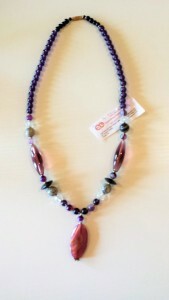 The clasp is a simple twist style. One of a kind. Malachite is a stone known for its equalizing and balancing. 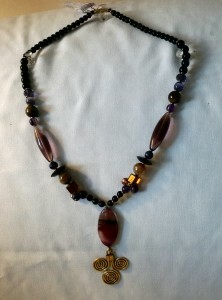 It is said to absorb negative energy which will be held until it is washed. 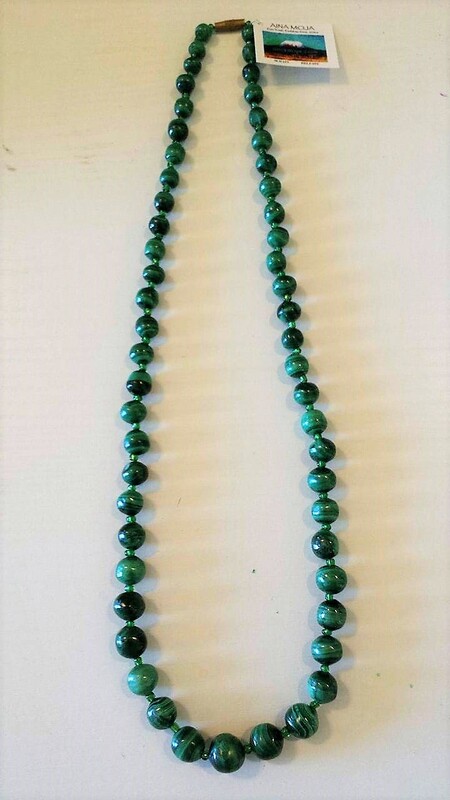 This is a graduated malachite bead necklace with small green glass seed beads between each malachite stone bead. 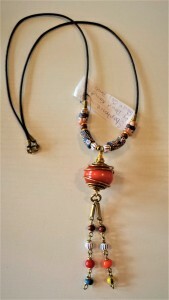 It was handmade in Kenya. It has an 11” drop and spread out it measures 22”. 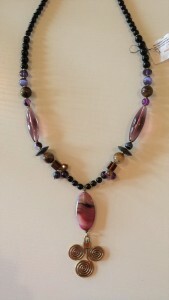 The clasp is a simple twist style.